What is a Rotary Aircraft Engine? The main advantages of a rotary engine, in which the cylinders move around a stationary crankshaft, are its minimumal use of moving parts and resistance to overheating. 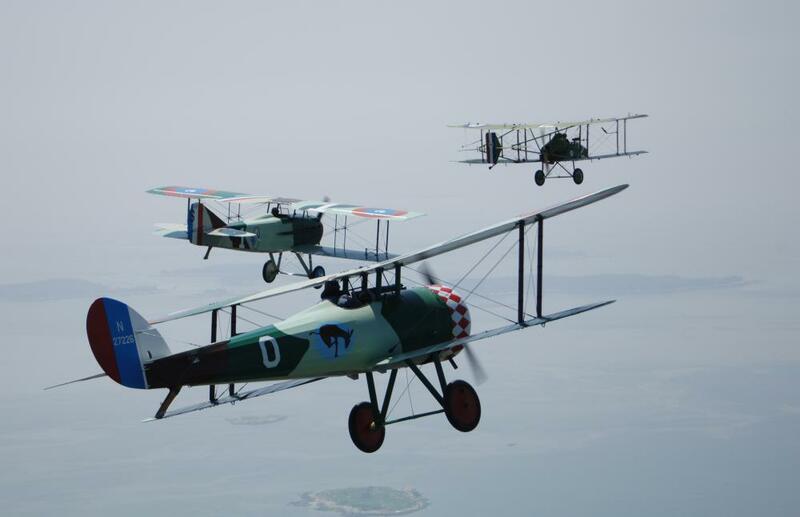 Several aircraft types used rotary engines during the First World War. The rotary aircraft engine was used heavily in early aviation, especially during World War I. It is unique in that the crankshaft remains stationary while the cylinder heads and crankcase rotate around it. The air and fuel mixture is sent to the heads by a copper pipe leading from the crankcase. All fuel and air mixture is distributed through the hollow crankshaft prior to entering the crankcase. Typically configured with an odd number of cylinders, the engine is smooth running and was proven to be very reliable during World War I. The rotary aircraft engine is smooth running due to the lack of reciprocating parts. Other than the crankcase and heads, there were no moving parts to the engine. The rotary aircraft engine had its crankshaft mounted to the plane's frame and a propeller was attached to the engine's crankcase. As the crankcase revolved around the crankshaft, so too did the propeller spin. The engine remained cool as the spinning crankcase and head assembly created its own cooling breeze. Unlike other engines of the day, the rotary aircraft engine did not require a heavy flywheel to smooth out the engine's operational characteristics. The rotary aircraft engine relied upon the heavy rotating mass of the cylinders to smooth out any vibrations. This idea worked very well and the rotary aircraft engine went on to power automobiles as well as a few early motorcycles. The rotary aircraft engine was prized by fighter pilots on both sides of the World War I. The power-to-weight ratio of the rotary engine made it a hands-down favorite over the inline engines of the day. One problem that pilots had with this engine was an unusually high rate of fuel consumption. This was due to the engine's tendency of being operated at wide open throttle most of the time, as well as less than optimal valve timing. Perhaps the biggest problem was the inertia that the rotating engine produced. Pilots soon discovered that left turns were difficult at best due to the spinning inertia that the rotary aircraft engine produced. 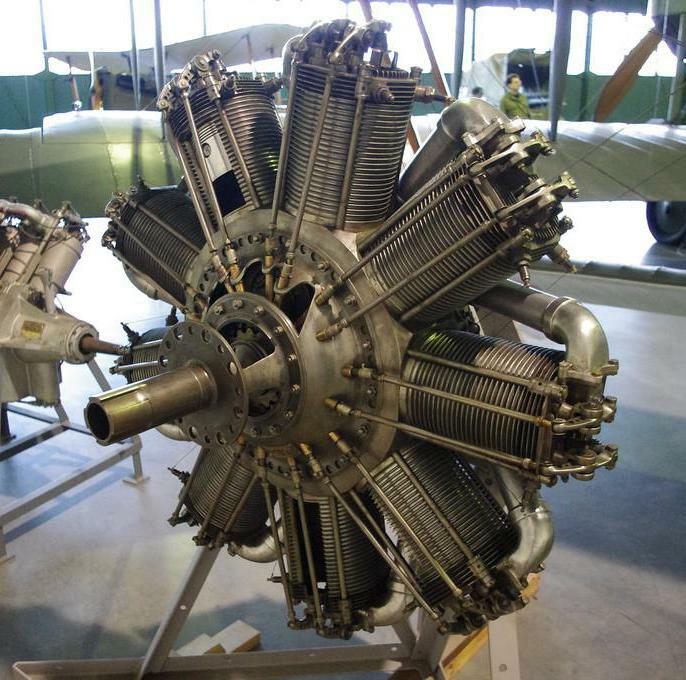 By the end of the 1920s, the rotary engine had all but vanished from use in aircraft. The new and improved radial design engines had replaced it thanks in part to more power and better fuel economy. Better fuel economy meant that a pilot could remain over a target or engaged in battle for a longer period of time with the same fuel load. The British used the rotary longer than other countries due in part to the huge surplus of the engine. They too, however, made the change to the redial design ending the flight of the rotary for good. What Is a Flying Flea? What is a Thrust Reversal? What is a Radial Engine? What is a Reciprocating Engine?